Papa Leo's is a local business started and run by a local guy that serves really good local food. The Main Street location has been around long enough that everyone should have eaten there at least once. There used to be a lunch buffet at Papa Leo's that was out of this world, but they no longer do it. I would imagine expenses got in the way. But that buffet was my introduction to Papa Leo's and we have been going back ever since. Papa Leo's is one of the few local restaurants that still serves real french fries and not those coated monstrosities that other places have switched to. I have no idea how coated french fries could be less expensive to serve, but I can tell you that they are awful to eat. I am certain there are plenty of people who love them, but I prefer some deep fried, cut-up potatoes with nothing fancy attached to them. Everything at Papa Leo's is made with an old fashioned taste to it, and that is hard to beat. Over the years, I have had a lot of different foods from Papa Leo's and everything has been excellent. There is a simplicity to the way they make food that allows all of the ingredients to really stand out. The wings are amazing, and the chicken fingers are good as well. As I mentioned earlier, I rave about the french fries at Papa Leo's because they are simple and very good. There is nothing fancy about anything Papa Leo's does, and I think that is why I like it. Doing things the old fashioned way takes time, and that can sometimes bother customers. The people at Papa Leo's have always been more than friendly, but the time it takes to put an order together can be a little longer than some other places. If you are in a hurry, then call ahead. But I can tell you that either way, the wait is worth it. Because of the buffet, I have had more than a few meals in their dining room and I really like the picture window view of Main Street. I am one of those sentimental people who will take in a lunch at Papa Leo's during the Christmas season just to sit at the front window and watch Main Street. It does help that the food is pretty awesome. All in all, it is hard to go wrong with a meal at Papa Leo's. It costs a little more than some of the other places and can take a little longer to cook, but everything is well worth it. They are friendly people with an awesome dining room that are definitely worth a visit when you have a chance. 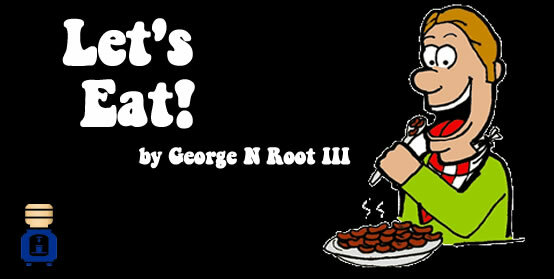 George N Root III loves eating food in local restaurants. You can follow him on Twitter @georgenroot3, or send him a message at georgenroot3@gmail.com.